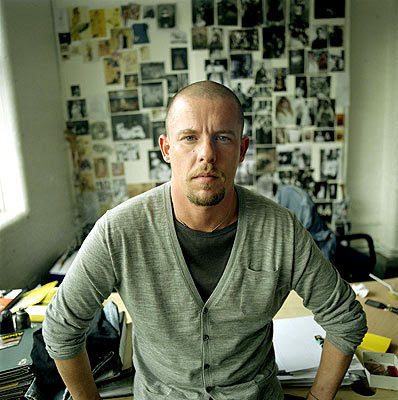 I'd been thinking about a post dedicated to Alexander McQueen for a while now. Actually, it was supposed to be about McQueen and Galliano together, because I find both designers equally theatrical and highly fascinating. Unfortunately, today I have been given a reason to forget Galliano and only focus on McQueen. Alexander McQueen is dead. The how and the why are not important to me. He was 40 years old. He was a great fashion designer. Such a terrible loss for the world of fashion. I can't even think of much else to say, I just want to close my eyes and play a silent tribute to all the beauty and all the art he's left behind. ughhh, i literally cried when i found this out, to lose such a talent is truly a tragedy. Look at that gown Cate Blanchett is wearing. Glorious. Loved the gown right beneath.